Buzzinga is a 360 degree digital ideation and services company which operates across new media platforms, including social media, gaming, mobile and the traditional web. We offer our services to fortune 500 companies, top tier local corporations, as well as small and medium enterprises across all vertical markets for whom we manage design, brand solutions, media, gaming, social reputation management, ideation, online activation and product development. 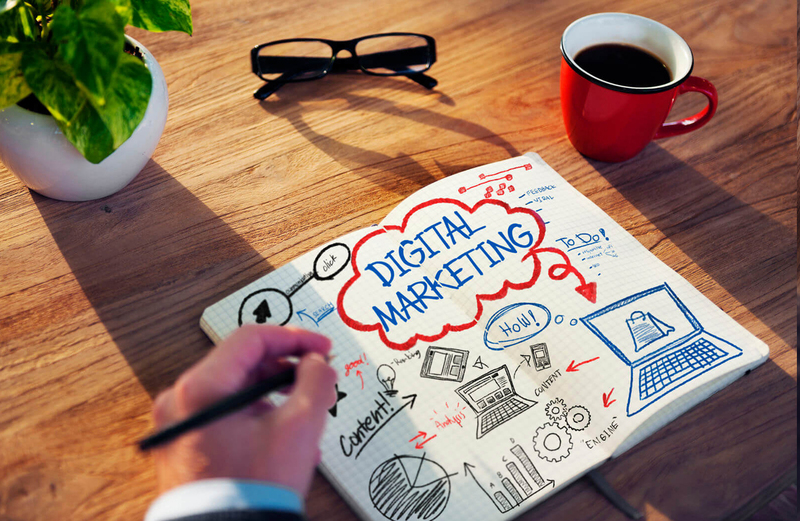 We have our services spread across multitudinous spectrums such as Social Media, Videos Marketing Communications, Search Engine Optimisation (SEO), Media Buying, App/Web Development, Influencer Marketing, Content, Mobile, Email, Online, Market Research and Online PR. With a career spanning over four decades as a Senior and Executive Creative Director, Geoffrey has earned a reputation for creative excellence. 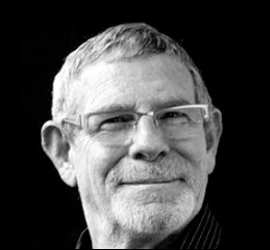 He has lived and worked in 4 continents and been responsible for many other countries working with clients such as Coca-Cola, Nestle, J&J, Unilever, Gillette, General Motors, Ford, Colgate Palmolive, P&G, British Airways, Lufthansa, Seagram Distillers, Exxon-Mobil), Honda and many others. His reputation has been endorsed through the gain of many prestigious awards including Clio's, Hollywood Radio & TV, several Australian Writers & Art Directors Awards and New York Film & TV awards. Even on the retail side of business, he has won awards in Chicago for the best retail work. 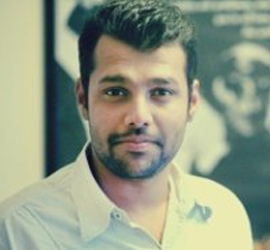 Soumyadip is an Associate Creative Director at Buzzinga. He has over 7 years experience in digital media across content strategy, client servicing, branded content, project execution, production management, operations & leading teams. He has worked on campaigns, brands & agencies like MTV, Vodafone, Reliance and Colgate on digital and video. He has been a producer on TV for a daily fiction show on Zee, with specific experience in project execution, channel handling, fund raising, operations, production management & delivering telecasts. Over 17 years of hands-on experience in building and working for Internet businesses spanning ecommerce, games, content and social media from start-ups to MNCs. Prior to Buzzinga Yashraj founded digital marketing agency, Red Digital where he worked with clients such as BMW, Mumbai Indians, Dell, Lifestyle International, Citibank, Discovery Networks, Danone, Educomp, Monginis, Godrej, Turner, Disney and Apollo Tyres. Red Digital was awarded the Red Herring Global 100 award in 2011 for being among the top tech start-ups globally. It won an Effie for the Mumbai Indian’s “Play Like One” Campaign and a FICCI BAF Award for the Lufthansa Park n’ Fly game. Yashraj successfully exited the company after a buyout in 2013. 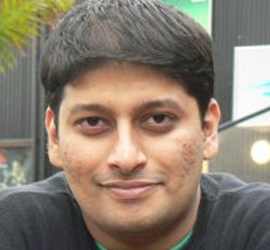 Yashraj has also spent time with 2 Reliance Entertainment companies Zapak.com and Jump Games where he was heading worldwide content outsourcing, acquisition, development and licensing. 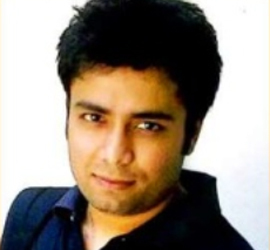 He has also worked in mainline advertising with Lowe Lintas and in FMCG with P&G. 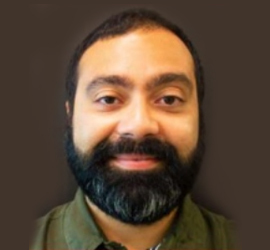 With close to 15 years of experience in the business of communication, Shawn Fernandes has worked in digital, radio and print. Over the years, he's developed an understanding of how to craft compelling communication for brands looking to break through the noise and clutter. Over the course of his career, he's led creative teams, managed talent and developed campaigns for brands like Phantom Films, Forever 21, Gibson Brands Inc., ONLY (Bestseller India), Mid-day and The Times Of India. He's worked with companies like Radio Mirchi, Radio City and Rolling Stone. Holding a Bachelors degree in Multimedia from Australia and a strong print/web background, Chirag has been working in the design/advertising industry for 8 years. At Buzzinga, Chirag leads our team of designers and visualisers and is involved in projects every step of the way, from the early research and ideation phases, through the first drawings, wireframes, prototypes, tests, to the moment when, colors, movements and shapes finally mix gracefully in a pixel perfect interface. Prior to this, Chirag worked at digital agencies like Iksula and Andthennow as an art director handling various clients like House of Hiranandani, Health Total, Jashn, Globus, Hungama, Proactiv, Dr Batras, Hoppipola, The Mobile Store, Ebay, Orra, Big Bazaar, Happily Unmarried, Times of India, Rahejas, Indigo Deli, Westside etc.